Seattle is booming. Our urban neighbor has many thriving employers (including Boeing, which sometimes gets characterized as a “bad corporate citizen” but it’s still a company that brings lots of business and jobs to our region! ), herds of building cranes downtown, and is frequently included on lists of successful American cities. The Seattle metro real estate market is entering its third year in which demand has way out-stripped supply. As far as our third quarter numbers, we have a bit of a mixed bag. The number of transactions for the year is down almost 13%, which can be blamed more on conditions that were present early in the year than recent realities. As you recall, our inventory was extremely low for the first quarter of this year. In the same quarter in 2013, we had a much healthier inventory and, consequently, more sales. For the third quarter of this year, there were 128 sales as compared to 131 last year (which is statistically insignificant). The next few months should be interesting in terms of the number of sales that come through. Last year, inventory was headed down dramatically during the fourth quarter, which had an impact on sales. Prices, as sales, also tell a number of stories. Low inventory will depress the number of sales, but if there is healthy demand, which we have experienced this year, it creates more competition and higher prices. True to this theory, our prices have experienced health y growth: 16% average and 15% median so far this year. But where on the pricing chart the sales took place also has a profound effect on these numbers. In 2013, we had 90 sales above $700K. This year, the number is 105. In 2013, there were 28 sales over $1M and two over $2M, and this year there have been 34 over $1M and seven over $2M. Obviously, this is great news for our sellers in the higher brackets, but it tweaks the stats if you are trying to use these numbers for anything other than a general overview of our market. If you try to apply market stats to your own home, there are a number of purely mathematical elements that might lead you astray. This is one of many areas where your friendly professional real estate agent can help. Lots of people continue to wonder where we are in comparison to our peak. 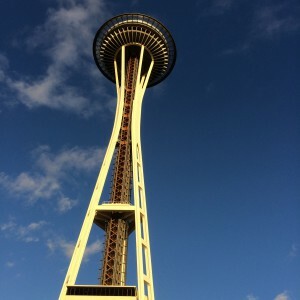 The agents in Seattle are convinced they have returned to – or possibly even slightly exceeded – the numbers that were seen in 2007. Our island market is not quite there yet, but the trends are encouraging. If you look at the Bainbridge houses that have closed in the past couple months that last sold in the period 2005-2007, it is difficult for us to make the same statement because the number set is too small to hang any hats on. It does appear that we are slightly above 2005, but we have yet to achieve 2006 or 2007 numbers. The general index (median price) supports this conclusion. 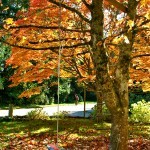 For homes sold in the third quarter of 2007, the median was $705,500. This year’s third quarter median was $607,500. We may not be back at the peak, but prices have seen steady appreciation over the past four years. During September, there were seven out of the 40 sales (17.5%) where the home sold for more than the list price. There is a very good possibility these sales had multiple offers, but the average amount above the list price was a modest 5.2%. From those figures, we conclude that sales are strong; well prepared and strategically priced properties can sell quickly, but we are not experiencing the same intensity of demand as Seattle’s market. The condominium market is very interesting. On September 30, there were a total of 25 condominiums listed on the island, 14 of which (that’s 56%!) were under contract. On September 30 last year, there were 41 listings and only seven under contract. The condominium mar-ketplace has lagged single family homes for much of the recovery, but this year it has finally started to join the party. Sales in units are up 10% through the third quarter and one has to assume that if there was more inventory the number would be higher. The “upper end” also has come alive with four sales so far this year and two under contract right now. However, the market does have a ways to go; 2007’s num-bers were 119 sold through the third quarter at a median price of $459,487. This year, we are at 80 sold at a median price of $313,250. As with homes, we need more inventory! Land has been pretty stable from the pace set last year. The number of transactions is similar but the median price is up 15%. We have seen more sales outside of Winslow this year in more price ranges than last. All in all, a healthy improvement. 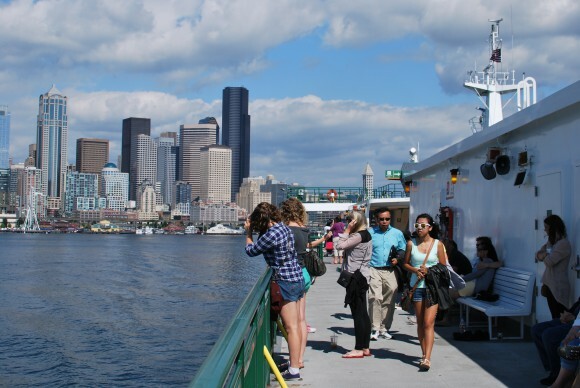 Seattle is a great place that offers cultural, social and environmental abundance. Here on Bainbridge, we enjoy many of the same riches … we just prefer to experience them in more relaxed, rural and sane contexts. Thankfully, that includes our real estate market! Bon Fire Ovenworks will be at the taproom with their mobile brick oven. Go and enjoy great pizza with friends and your favorite brew. The Super Squash Scavenger Hunt is included with admission to the Reserve. 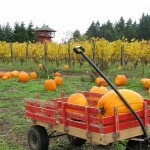 Tour the pumpkins, search for squash and just enjoy the colors at Bloedel in the fall. Children will be given a special map to help find the all the hidden squash around the grounds and once completed, will receive a prize. Pick your pumpkin from the vine. Go on a hay ride and play in the hay maze. Pumpkins, squash and other fall produce for sale. Bring Your Own Pumpkin. A community favorite for ten years running. Free but Pre-registration required. One of the longest-running off-Broadway shows of all time, this affectionate spoof of 1950s sci-fi movies has become a household name and will be on stage on Bainbridge for the month of October. Buy tickets here. An open house at Heyday Farm. 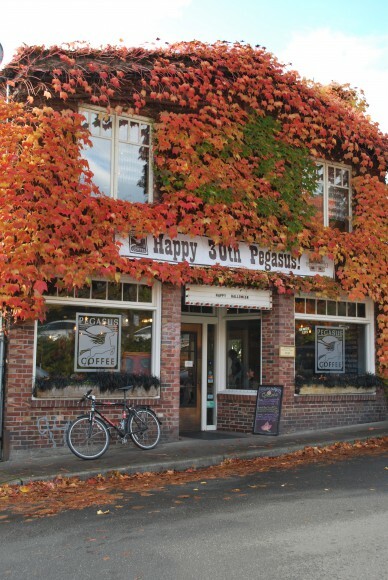 Celebrate the wonderful apples in the neighborhood and enjoy cider pressed from their old fashioned apple press. If you have your own apples to bring and a jug, they’ll press them for you and give you juice to take home. No apples that have fallen on the ground, please (although they do take those for their pigs). The event is free with no registration required. The Pumpkin Walk is a fun, festive, family-oriented event hosted by Bainbridge Gardens. The proceeds of this popular, non-scary event benefit the Bainbridge Island Boys and Girls Club. Food and games. Donation at the door. Forest Walk from dusk on October 18th until noon on November 1st. Location to be determined – check here for exact location. Decorated forest trails. No characters. Unguided. Bring your flashlight. Go anytime. Free. Enjoy a casual evening on the farm with live acoustic music and appetizers in the barn then join fellow island foodies in the historic farmhouse and share a fall family style meal of food right from the farm. $75 per person. Reserve tickets here. Wear your costume and join all of your island neighbors on Winslow Way and trick or treat from shop to shop. Family fun. Spooky music. Hot cider. And don’t forget the pumpkin ice cream at Mora.